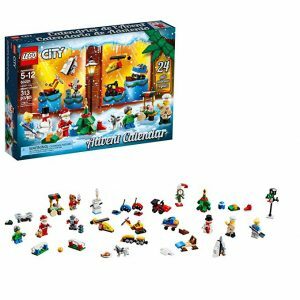 On Amazon right now you can get this new LEGO City Advent Calendar 60201, New 2018 Edition, Minifigures, Small Building Toys, Christmas Countdown Calendar for Kids (313 Pieces) for just $21.97 – a 27% savings! Hurry – these LEGO advent calendars sell out quickly. Previous post: Buy Trident VIBES® Gum at Walmart, Get a $5 iTunes Gift Card!